I finally got the huge Ghostbusters set built yesterday, and I've rendered up two different versions of the process. One is really quick to give more of the "wow" value of seeing 4,600+ parts assembled at light speed. The other is more laid back to grab a snack or beverage, lean back in your seat, and have more of an experience of seeing the thing come together, one sub-assembly at a time. Which do you prefer? 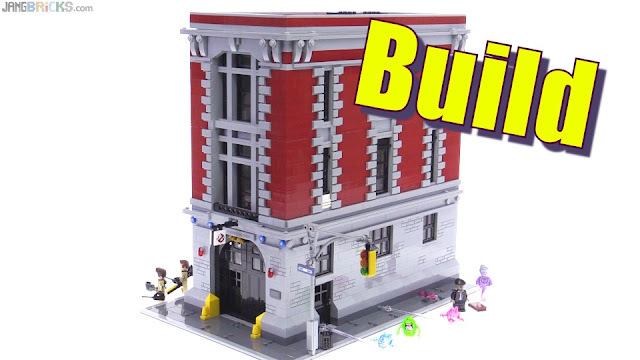 LEGO Ghostbusters HQ Speedy Build 2-minute version! LEGO Ghostbusters HQ Speedy Build 10-minute version! I'm still waiting for the 4-hour normal speed version. Or the 8-hour half speed version. I've watched a number of reviews and speed builds on the great white whale. The long build wasn't the best I've seen, on longer build videos they can be a but tedious without something added (figures helping build via stop motion or a more animated look to the build). The short build was insanely quick but I feel it would have made a great lead in to a review. With it being such a huge build, you can't get away with the standard 60 second speed build, I think it would make you feel ill watching at that speed. Just my opinion but I think 3-4 minutes would be the sweetspot between seeing what's going on and feeling like your eyes will bleed. Still love your vids. Keep up the awesome work.